6 Easy Ways to Get Your Partner to Eat More Fruits and Vegetables – Ashleigh Grange, R.H.N. In many ways I feel like I was born to write this post. Because, to put it mildly, my boyfriend is not friends with too many vegetables. Corn, carrots, potatoes, and raw cauliflower (!) and that’s about it. Green vegetables? Not so much. So in the 5+ years we’ve been together I’ve come up with what I think are a few clever ways to get him to eat and enjoy more fruits and vegetables in his otherwise meat & potatoes diet. It’s a constant battle but hopefully some of these sneaky tips can help you too! I’m definitely not above using a little magic to make fruits and vegetables more friendly for the picky eaters in the house. 1. Make sweet love to your blender (and your partner) by way of sweet green smoothies. Smoothies are a terrific way to get more nutrient-dense fruits and veggies in our diets. Making love to your blender gives you a quickie breakfast, snack, lunch or even dinner that will hopefully (if you do it right) keep you satisfied for hours. Be sure to include protein and healthy fats like avocado to balance blood sugar. In fact, avocados make some of the creamiest smoothies! 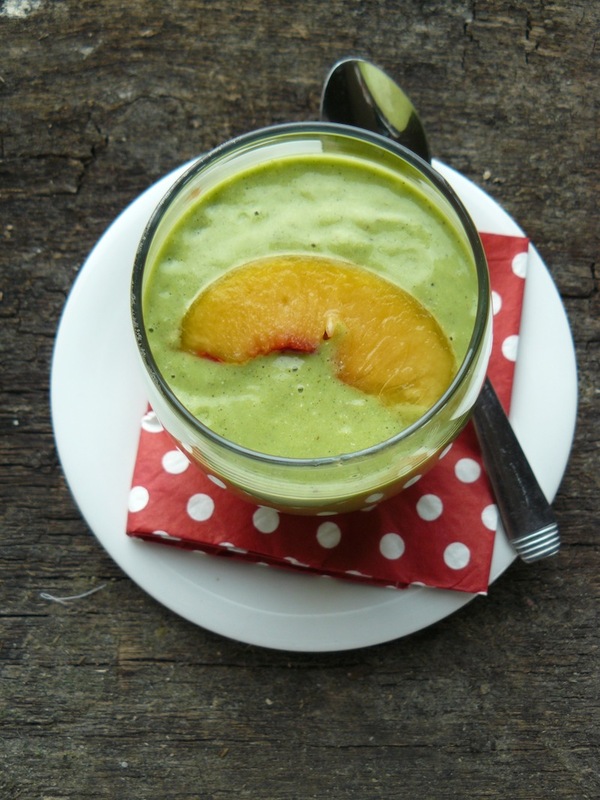 Try this Peaches & Greens Smoothie but substitute the peaches for pineapple (fresh or frozen, but adjust the liquid if needed) and you’ll achieve a much sweeter smoothie. Of the greens, romaine lettuce and spinach are mild and juicy. Easily hidden in smoothies with a banana or 1/2 to 1 cup of other fruit, these greens provide a nutrition boost without a “green” flavour. You can add fruit with greens or other vegetables like carrots, pumpkin or beets (AMAZING with raspberries, strawberries or other berries). I like to keep at least half my fruit in a frozen state for a naturally cold smoothie and I add enough water, nut milk or other liquid to blend everything until smooth. If your fruit/veg smoothie creation isn’t sweet enough for the sweetie in your life, add a spoonful of maple syrup or honey or even a pinch of green stevia for a no-cal sweetener option. Try to find a balance between how many servings of fruit and how many servings of vegetables you add, but don’t worry if you add more fruit to start. You can gradually add more veggies as your partner’s taste buds become more accustomed to healthy, wholesome fruit- and veggie-powered meals. I recommend making your smoothies smooth and you can serve in a dark-coloured glass so he or she doesn’t know the smoothie is green (until it’s too late!). Next thing you know they’ll be gulping down your green smoothies like they’re dessert. Your partner might also like this refreshing cucumber smoothie. 2. Keep raw vegetables prepped and within reach at all times. Admittedly my boyfriend probably enjoys raw vegetables as much as or more than me (or at least the few types he will actually eat – see the short list above) but keeping raw vegetables prepped is the key to success here. Wash your weekly haul of raw vegetables, chop them into various sizes, and place them in handy reusable (preferably glass) containers for snacks, salads, sides at dinner, lunch or even breakfast. Once they’re prepped, it’s easy to eat them raw or lightly cook or steam them in various ways. My friend Robin makes an effort to keep raw vegetables on the table with every meal so family can pick and choose from their favourites as a snack or side. 3. Use vegetables as the base of your partner’s favourite foods. Does your partner love chips and dip? 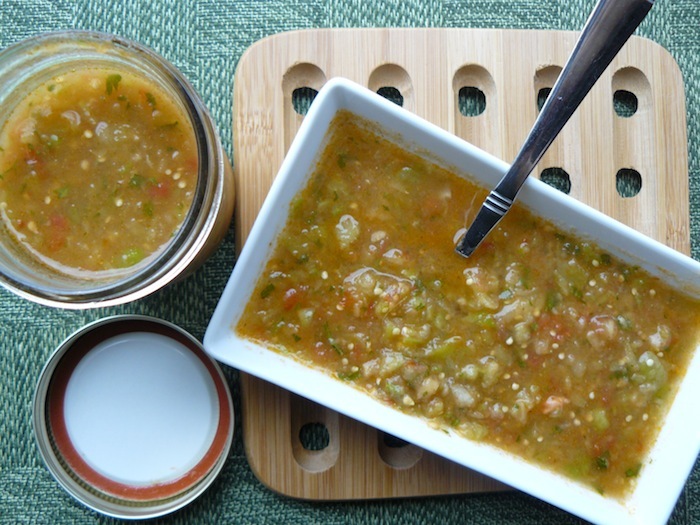 Try homemade salsa instead of store-bought – it’s really not that hard to put together. I like the raw salsa below and you only need a food processor or a good, sharp knife to make it. This tomato jam recipe is one of my favourites and this green and red tomato salsa gets a kick from parsley, lime, cumin and apple cider vinegar. Does your partner love hummus? 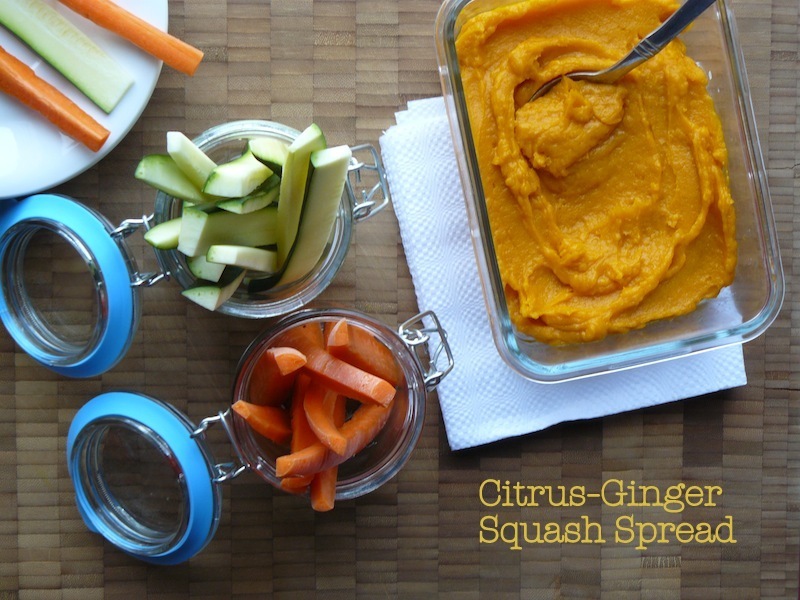 Try swapping the chickpea version for one made from carrots or squash (like this sweet, creamy Citrus-Ginger Squash Spread). You could also try offering cheesy kale chips or serving slices of fruit with peanut butter or other nut butter like almond or cashew. Does your partner love cookies? Try adding additional fruit or even veggies like carrots or pumpkin for a nutritional boost. 4. Heat things up in the kitchen with roasted vegetables. Don’t believe this tip could help your partner like his or her veggies? Have you ever roasted a marshmallow? Roasting turns what is otherwise a bland, sugary, bleach-white blob into caramelized, roasted heaven. And it does the same thing to vegetables! The only difference is that with vegetables you avoid that awful heart-pounding, sweaty blood sugar CRASH that soon follows. If you’ve never roasted your vegetables before, you must try it. Roasting a plain (and lame, in my opinion) veg like raw cauliflower transforms it into something special. It becomes roasty, toasty, caramelized… you guessed it, heaven. You can roast a cauliflower in florets or slice one giant head into thick “steaks” for a unique texture and flavour. Enjoy this white veg on its own, with spices or even topped with tomato sauce for a fun and flavourful twist. I like roasting zucchini “boats” and topping them with tomato sauce too. Roasting just about any vegetable transforms its flavour. 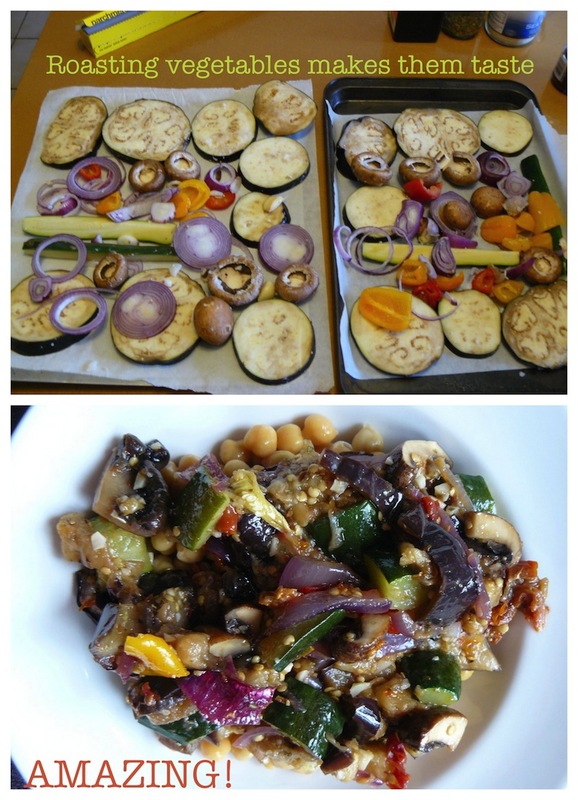 Try it and see if your partner likes those sweet peppers, eggplant or zucchini just a bit more. These veggies literally transform with roasting! Cook just until tender and aim for brown, not black, caramellization. To get a good brown on them, rub them lightly with oil, cook with plenty of space around each piece (no overcrowding the pan), and flip them over halfway through the cooking process. 5. Keep your partner happy with healthier alternatives. This can go hand in hand with tip #4 above, but think of easy ways to make your partner’s favourite foods just a bit healthier. For example, rather than serving white potatoes as fries, try serving sweet potato “fries”. 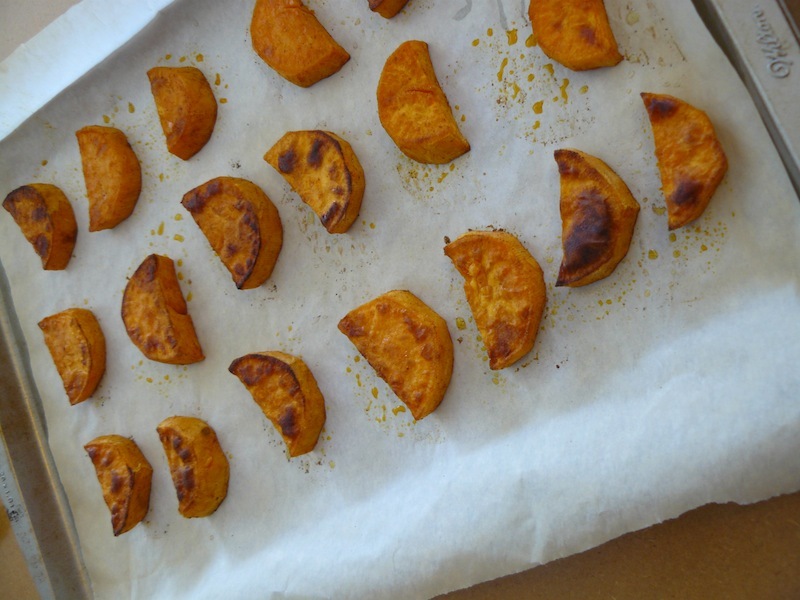 I chop sweet potatoes into large wedges or chunks, dress them in a bit of oil and roast in the oven, turning once. Who doesn’t love sweet potato wedges? 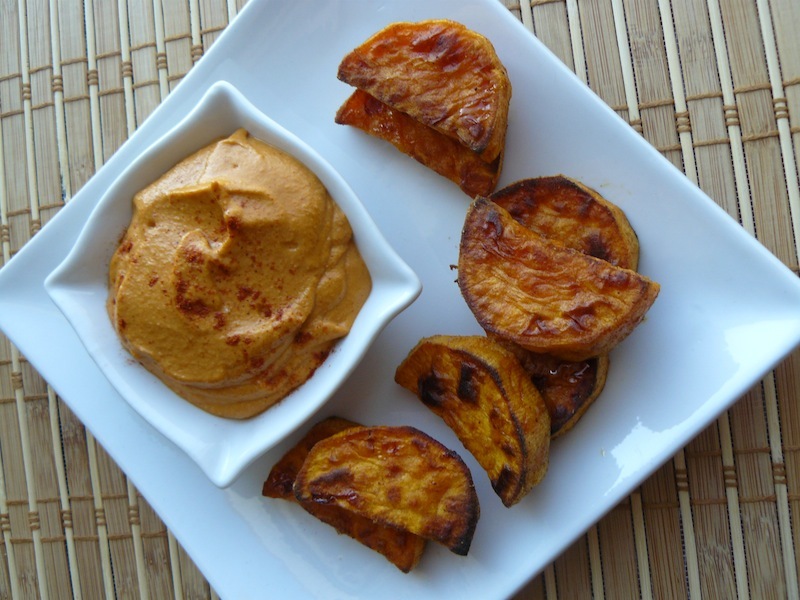 I love serving them with a spicy dipping sauce like this dairy-free chipotle one. I used soaked cashews, water, whole New Mexico chiles, ground cayenne, lemon juice and sea salt and blended everything into a creamy, slightly spicy dip. Using homemade dips that take only minutes to make (especially if you have a high-powered blender) can turn your everyday vegetables into something worth talking about. 6. And when all else fails, hide those hated fruits or veggies in plain sight. I’m the queen of hiding vegetables (or so I think) in plain sight. In spaghetti sauce, in soups, stews and chili, tucked into lasagna, minced finely and hidden in meatloaf, “hidden” on pizza, in sandwiches, rice, grain or quinoa dishes, frittatas or other egg dishes, lots of vegetables can do double duty in providing extra flavour and extra nutrient density. Spinach (and other greens), carrots, kale, pureed zucchini, cauliflower, even beets (red velvet cake? rich stew?) can all be added to your meals in many different ways. 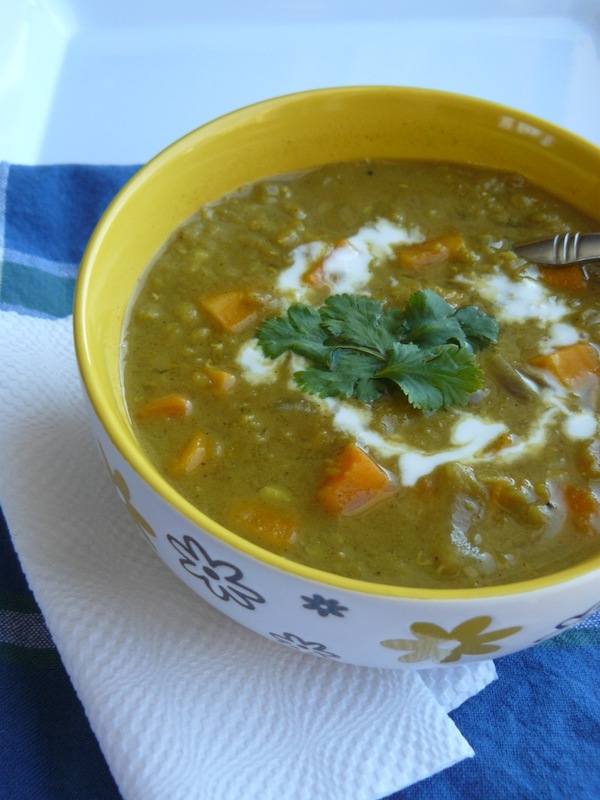 This Super Curried Red Lentil Soup is laced with health-boosting spices and packed with sweet potatoes. I also love it with carrots and it comes together quickly, in 15-20 minutes so it makes a quick, tasty lunch. Want to hide fruits? You can also hide them in plain sight! You can use hard fruits like apples and pears as the basis for this grain-free fresh fruit “granola” – one of my ultimate favourite breakfasts because it’s full of nutrients, flavour and textures. And if these tips don’t work on your partner, they’ll probably still work on your kids, so go for it and don’t give up! P.S. Do you have your own great tips? What’s your favourite way to disguise fruits and vegetables to make them more palatable for the loved ones in your life? This entry was posted in Healthy Living and tagged breakfast, dairy-free, dinner, family, fruits, gluten-free, grain-free, healthy living, How To, lunch, paleo, smoothies, snacks, vegan friendly, vegetables.